Earthquake in Palu-Donggala and tsunami in Sunda Strait, Banten and Lampung had caused many victims and refugees who need logistic aid, especially food. 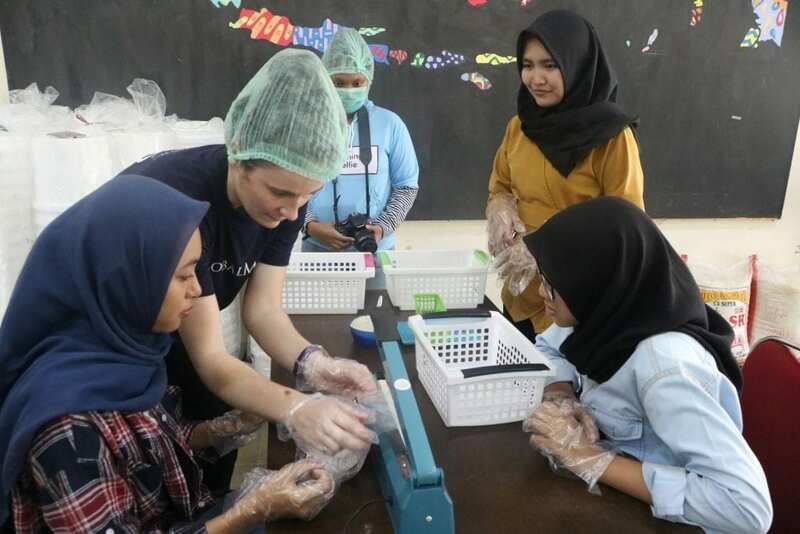 KAGAMACare has collaborated with Global Medic Canada, Penny Appeal Australia, and Students Communication Forum (FORKOM) Arena UGM to initiate Emergency Food Program. 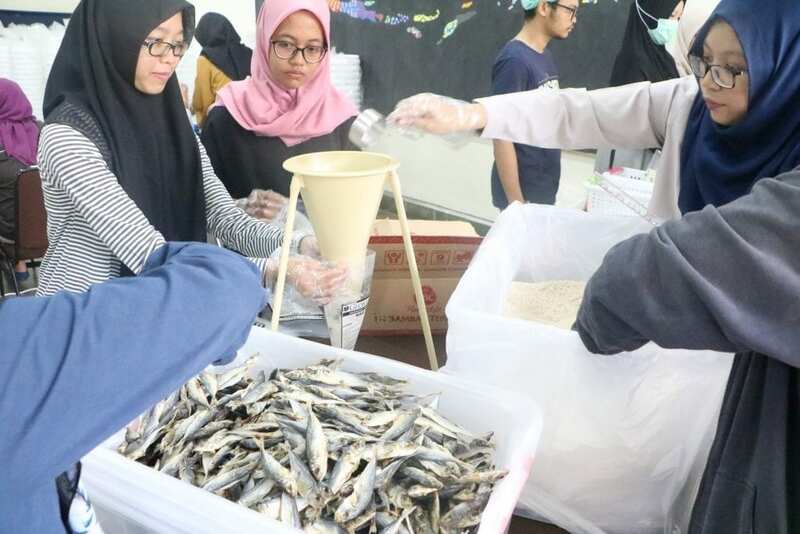 Emergency Food Program is a volunteer activity about ready-to-cook food packing process and the emergency food packed for the earthquake refugees is anchovy chili paste with rice. This program was held in UGM Student Arena. This food will be distributed to the earthquake and tsunami refugees in Palu-Donggala and Sunda Strait by a container ship. KAGAMACare will be cooperated with KKN PB for the distribution. The packing process had involved 200 to 250 volunteers who came from UGM Student Volunteer Group and FORKOM Arena UGM. Moreover, there were also 2 to 3 public volunteer. This process took 6 days, from January 24th until 29th 2019 and it was divided into 2 work shift, day and night shift. “Emergency Food Program is an advance program from what we did in Palu, tsunami in Lampund and Sunda Strait. Previously, we held clean water procurement program to drink and water purification sanitation tool installation there,” explained Restra, one of the coordinator from KAGAMACare when interviewed in UGM Student Arena, Thursday (24/01). 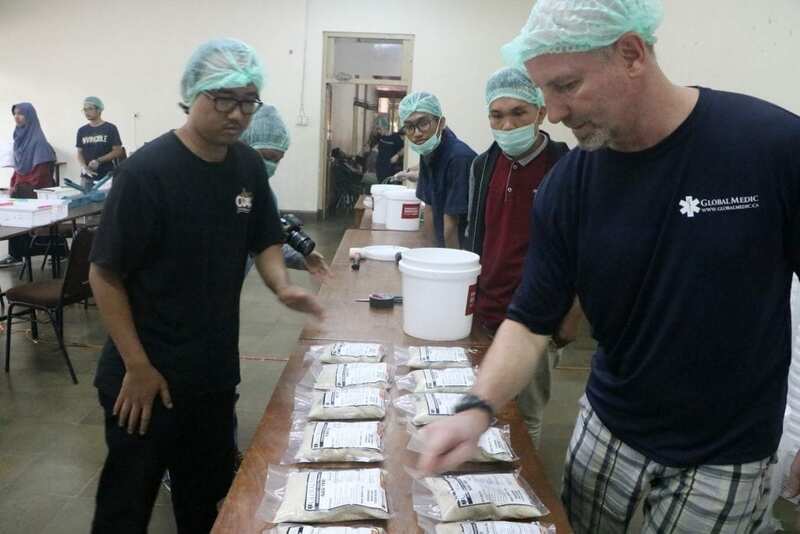 Global Medic Canada has developed emergency food recipe with local chef to make sure the refugees in the disaster area are already familiar with the taste. 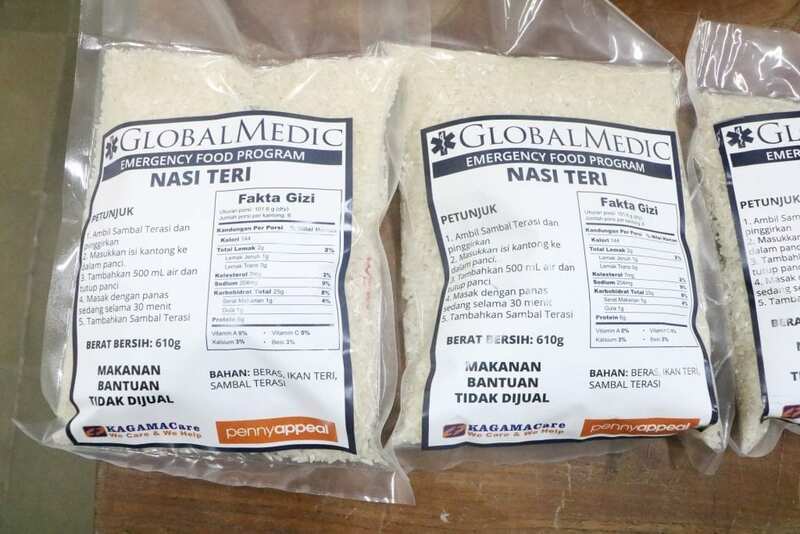 Global Medic has started to give help for natural disaster in Indonesia since earthquake in Yogyakarta back in 2006 and they have experienced in this emergency food program. This anchovy chili paste with rice as an emergency food is the collaboration result Global Medic with local chef. This emergency food is contained 600 gram of rice, 4 slices of anchovy, and 2 packs of instant chili paste. This packing process was very attentive to the health and hygiene standard. The volunteers who do the packing must wear head cover, mask, and gloves. The serving suggestion is quite easy. We only have to boil the pack for 30 minutes. Most of Indonesian people have already familiar with rice, anchovy, and chili paste.